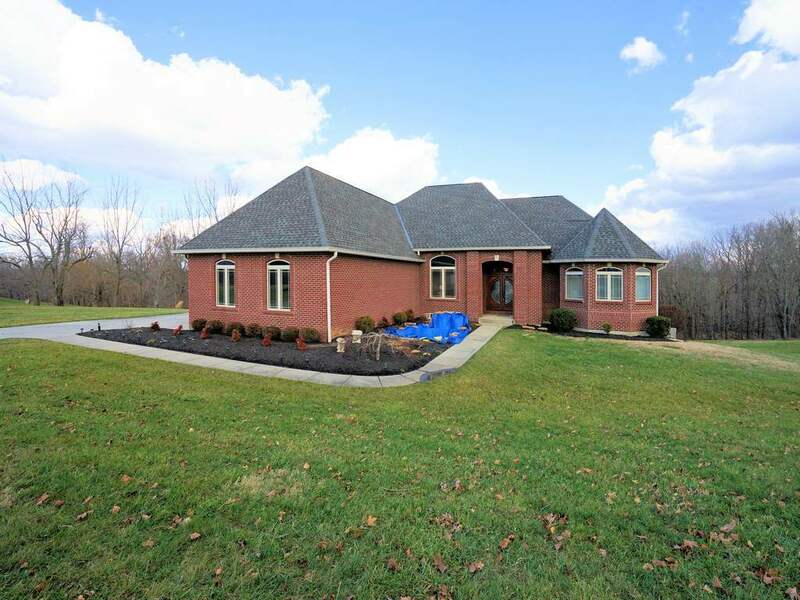 Custom built brick ranch on beautiful 2.46 acres. Grand double door entrance into open concept living/dining/kitchen with 14 foot ceilings. Living room features hardwood floors, stone fireplace, wood beam ceiling and walkout to screened in deck. Gourmet kitchen with cherry wood cabinets, stainless appliances and granite counter tops. Master retreat with walkout to screened in deck to enjoy the private, wooded view. 2nd floor bonus room over garage, 1st floor laundry, jack & jill baths, 3 car garage and full bath in lower level.